Elvira Keeble joined the United States Marine Corps straight out of high school, and was trained to work as a motor transport operator. Her first tour was Camp Fuji, Japan, followed by a transfer to a ceremonial unit working with the Marine Corps “Evening Parades” in Washington, D.C.
After 10 months away from the structure of military service, Elvira decided it was time to get back in. She joined the United States Coast Guard and reported to Cape May, NJ for training. There she met the man she was to marry – he was in aviation maintenance technician school. “We were married two years later and he has stood by my side, supported me and we have enjoyed our adventures through the past 14 years,” Elvira says. In 2004 Elvira was assigned to a Coast Guard high endurance cutter moored in San Diego, CA. She and her husband reunited after 10 months, and she completed her last year of active duty service in Traverse City, Michigan. Elvira joined the U.S. Coast Guard Reserve component in 2007, then transferred to Louisville, KY in 2008. 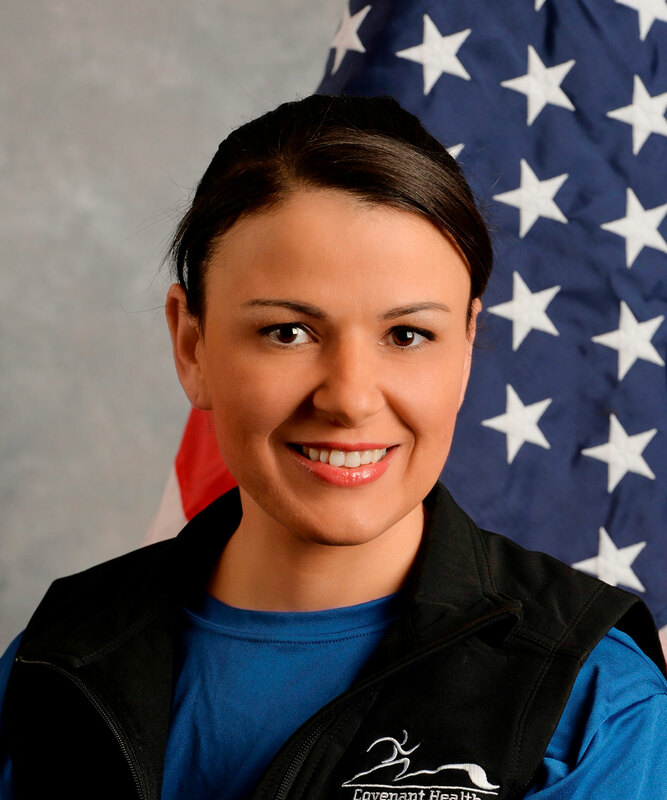 In 2013 she applied for and was selected to attend the Reserve Officer Candidate Indoctrination Program at the Coast Guard Academy in New London, CT.
She graduated as an Ensign and was assigned for a three year tour as the administrative officer and waterfront facilities inspector in Paducah, Kentucky. She now attends training one weekend a month and two weeks out of the year in Charleston S.C. where she says she serves with a talented team of marine science technicians. After 19 years of service, Elvira has learned a lot, but some of the most important lessons are the most simple. Elvira is training for the half marathon, and hopes to finish in less than 2.5 hours, maintaining a consistent pace.